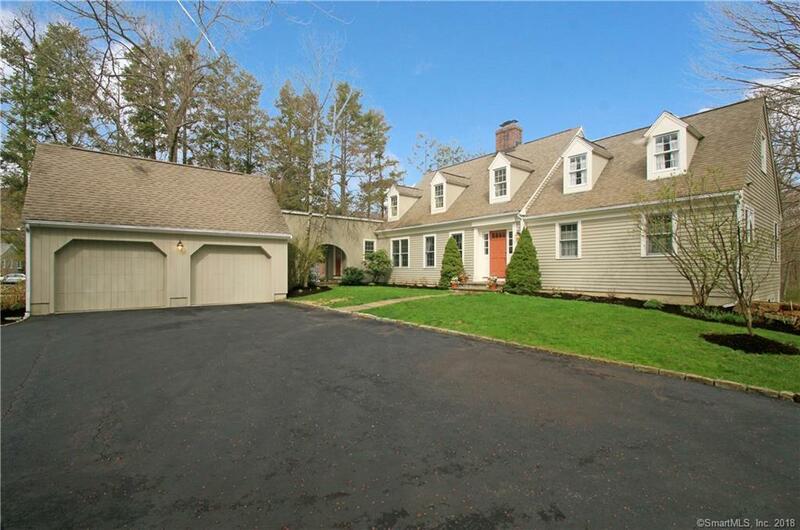 This stunning Classic Cape perches on a light and airy rise in the center of nearly 2.5 acres enclosed by wooded parkland. Close to town yet totally private. The well appointed Chef's Kitchen wraps around a center island providing generous work spaces and opens to a large family room offering views of the garden through wide French Doors. Formal Dining Room, large Living Room w/ wood burning Fireplace and beautiful Main Floor Master Suite with high end Bath and Spa Tub. A large 2nd floor Master Bedroom Suite and 2 additional Bedrooms share the Upper Level along with 2 Full Baths. Ample parking plus a 2-car Garage connected by an arched breezeway to the house. Finished lower level with nearly 400sf.